Courtesy of Coldwell Banker King Thompson 614-451-0808, Susan Shelby Pabst 614-306-1994. 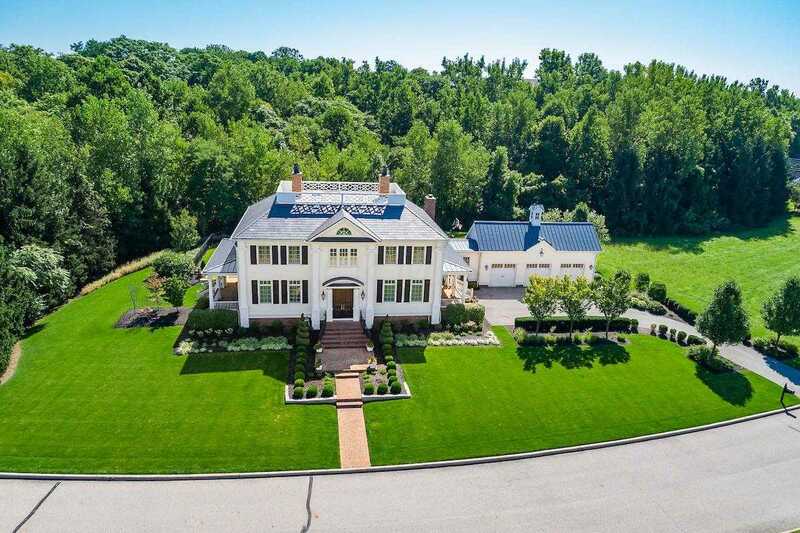 Custom built in 2012 by Corinthian Fine Homes, this stately 4-5 BR, 5 1/2 ba Colonial offers over 6,000 sq ft of finished space plus fantastic outdoor living with open air masonry porch, inground heated pool & concrete basketball court. Thoughtful selections and high end finishes throughout. Entertainer’s kitchen features Cambria quartz island and counters, KitchenAid Commercial appls, custom cabinetry, plus bar area all open to the Great Room and informal eating area. Elegant formal dining rm, in-law suite/office with private entrance & full bath complete first floor. Generous owners’ suite, guest room with private bath, and 2 addl BRs with Jack & Jill style ba up. Lower level offers additional flex space, full ba, office area & partial kitchen. Private setting convenient to everything! Please, send me more information on this property: MLS# 218032642 – $1,825,000 – 2999 Greycliff Lane, Upper Arlington, OH 43221. I would like to schedule a private showing for this property: MLS# 218032642 – $1,825,000 – 2999 Greycliff Lane, Upper Arlington, OH 43221.